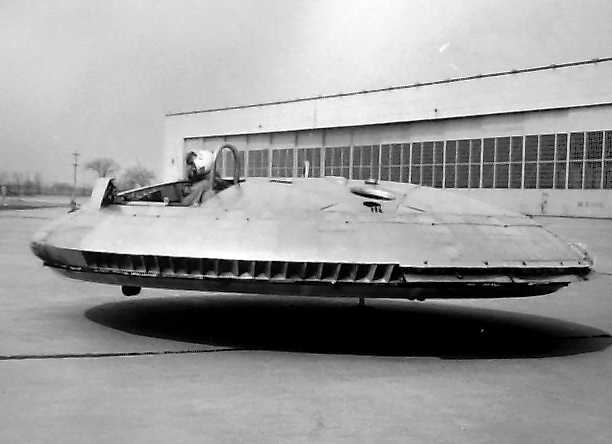 It just so happens that the Avrocar’s development coincided with both the Cold War and America’s UFO craze post World War II. 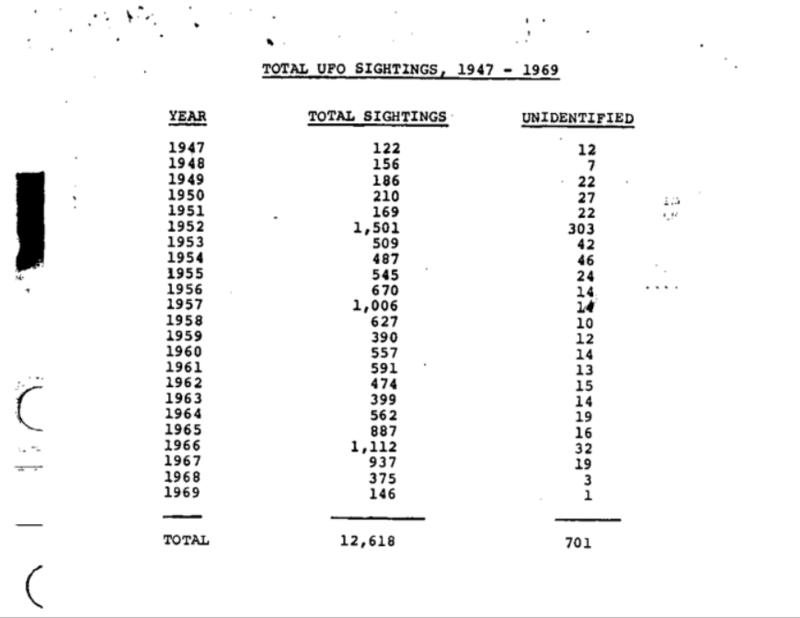 It’s been speculated the increase in UFO sightings were connected to the US military’s anxiety about the Cold War and that it may have fuelled widespread paranoia. 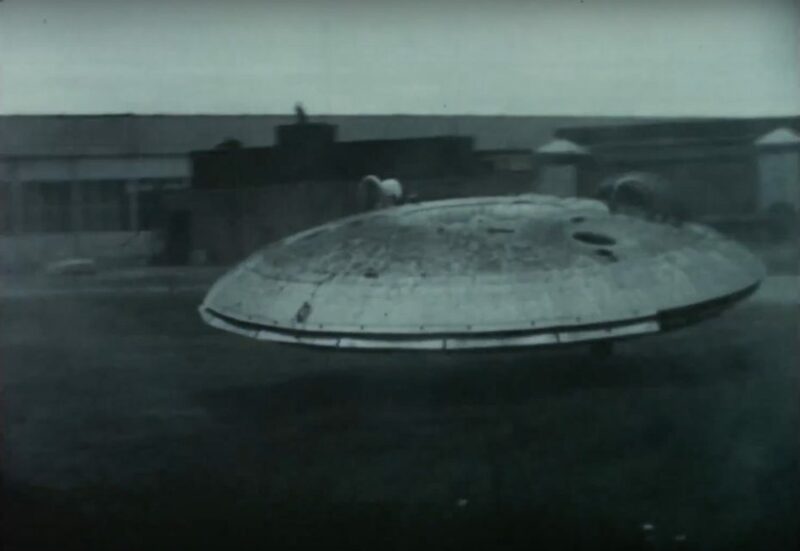 The first flying saucer sighting occurred in 1947, a few years before the existence of the Avrocar went public. 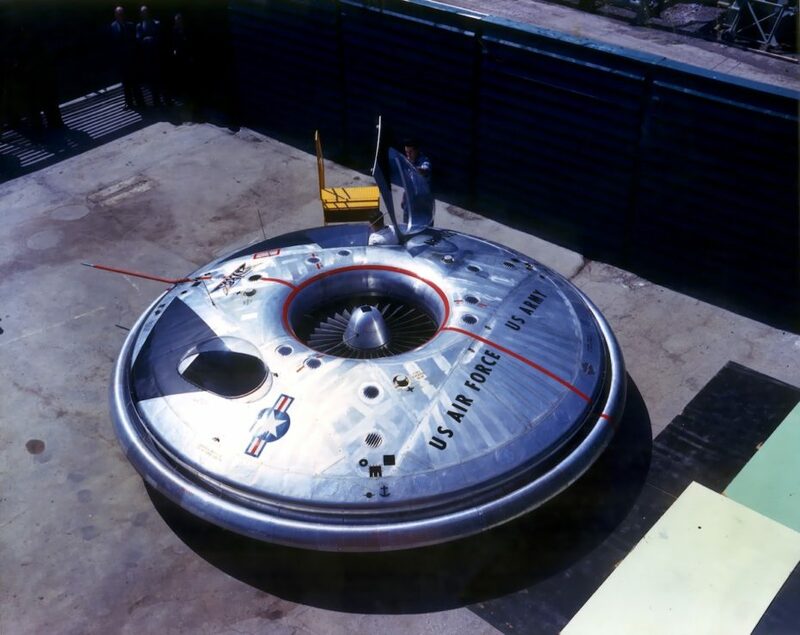 Orfeo Angelucci, an assembly line employee for the Lockheed aerospace company, reported encountering a hovering flying saucer on the roadside while driving home late one night. 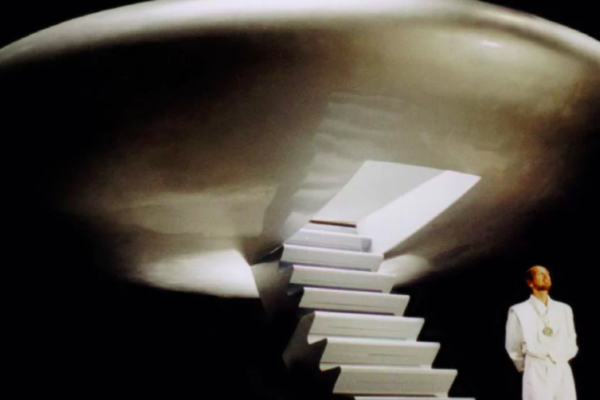 He claimed a voice spoke to him, telling him not to be afraid, after which a male and a female figure with large eyes and “an impressive nobility about them” appeared and communicated with him telepathically. 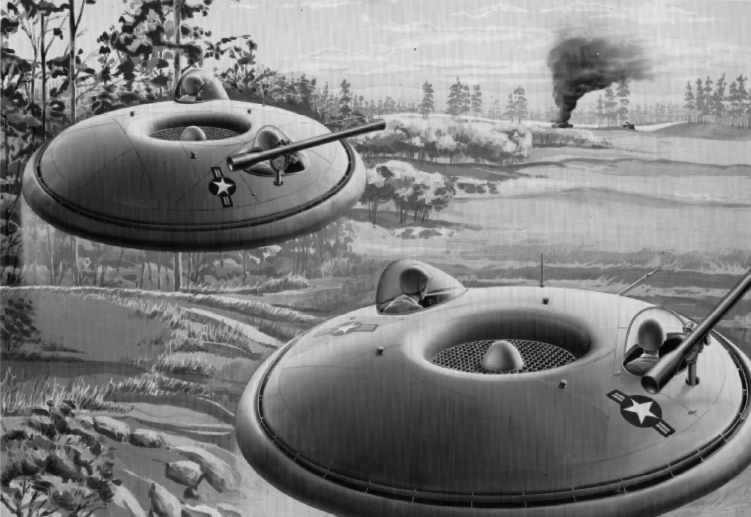 Americans were paranoid about war abroad, and now, aliens – so seeing the Avrocar was probably like watching a Twilight Zone episode come to life. 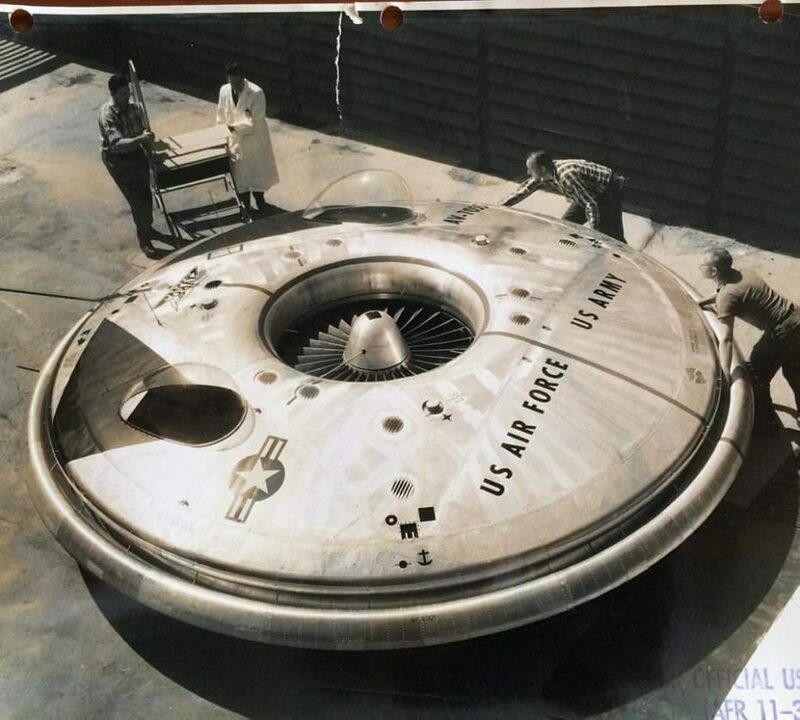 In 1955, a strategically leaked article appeared in Look magazine suggesting the country’s recent wave of UFO sightings were in fact, Soviet-built saucers – all the more reason for America to be spending millions on the ultimate subsonic transporter for our troops. It was to be an Army Jeep made for Jetsons, one that could go to supersonic speeds at the drop of a hat and for a while there, it took priority over other projects. 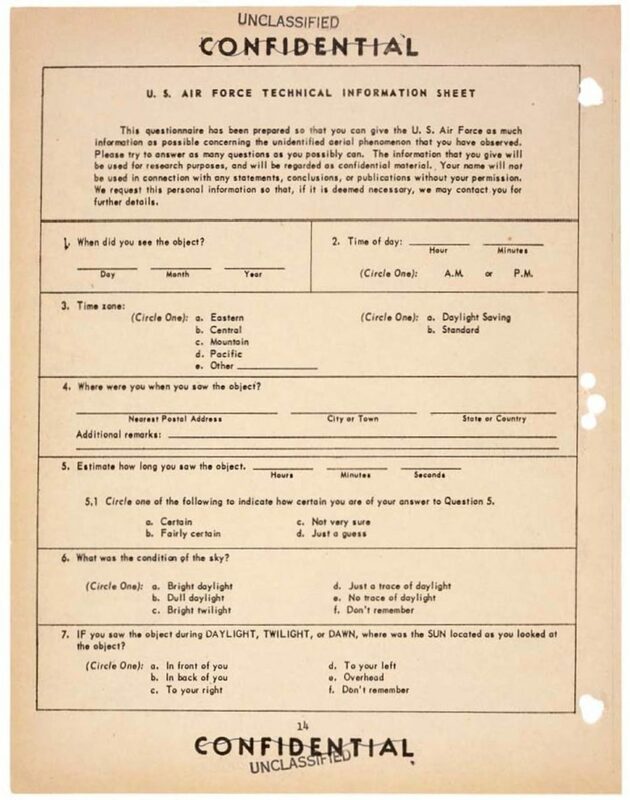 In fact, when Bernard Lindenbaum of the Air Force Flight Dynamics Lab went to Washington to request more funding for research helicopter improvements, he was allegedly told the research would soon be obsolete. 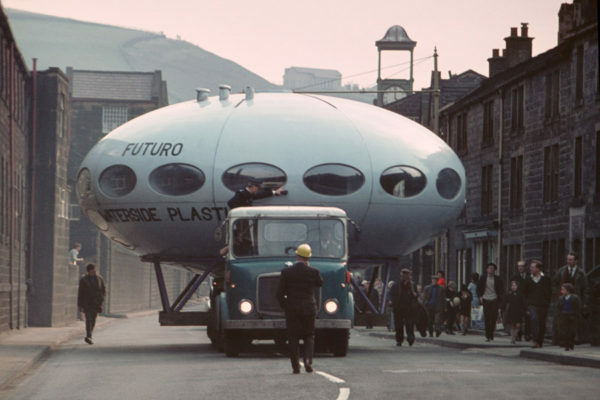 The world, or at least the military, would run on the Avrocar. In the 1950s, he was working at Avro Canada, a now defunct aircraft manufacturing company that became a goliath in the industry despite its relatively short run. Founded in 1945, Avro Canada directly employed roughly 50,000 people to become the third-largest company in Canada before folding in 1962. 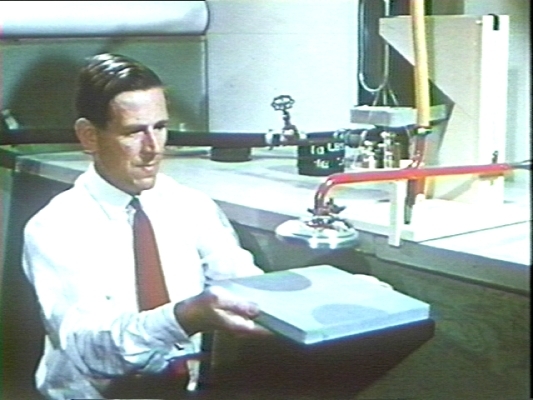 Frost was at the helm of arguably the coolest department, known as the “Special Projects Group” (SPG). 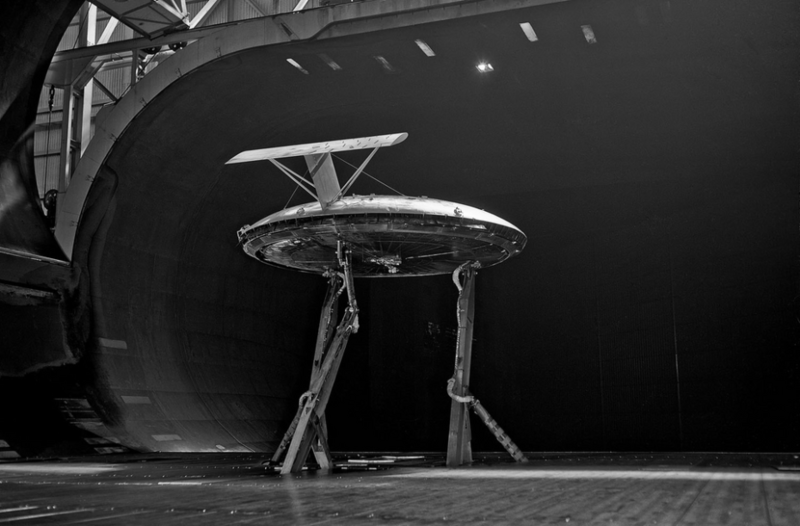 Often, the SPG’s projects were so wild they had to take them to an experimental secret hangar secured with security guards, locked doors and special pass cards. 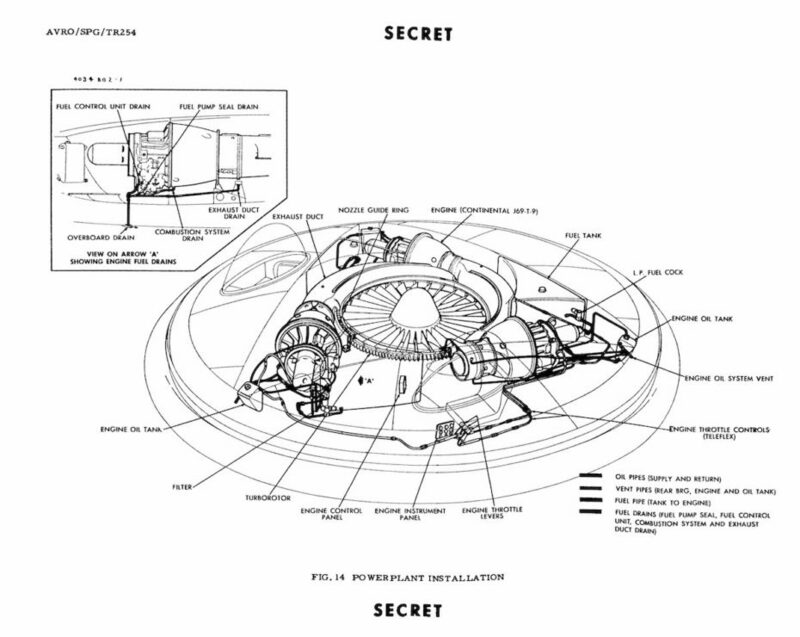 Frost gave visiting US defence members a peak at his various projects in 1953, and couldn’t resist showing drawings for a secret proof-of-concept test vehicle he was calling “Project Y-2”, a saucer-like aircraft that even many of his colleagues hadn’t seen. 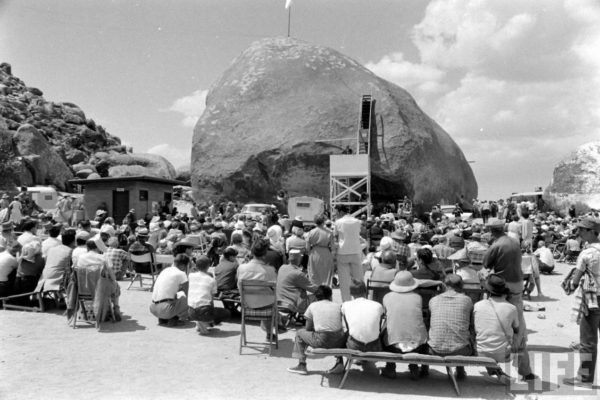 US defence experts were impressed and took over funding for Frost’s SPA. 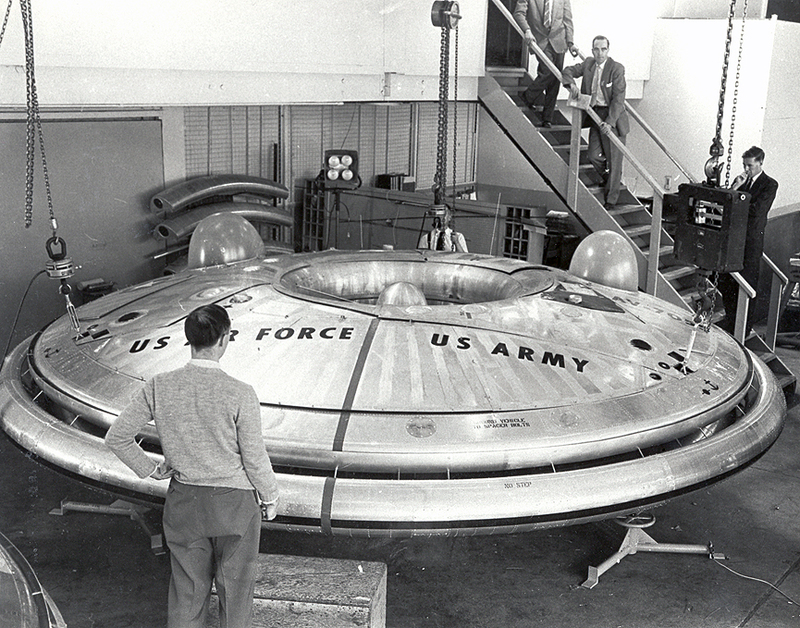 Throughout its development, the saucer went by numerous names, including the “Weapons System 606A”, Project Silver Bug, the “flying saucer” program and eventually, the “Avrocar”. 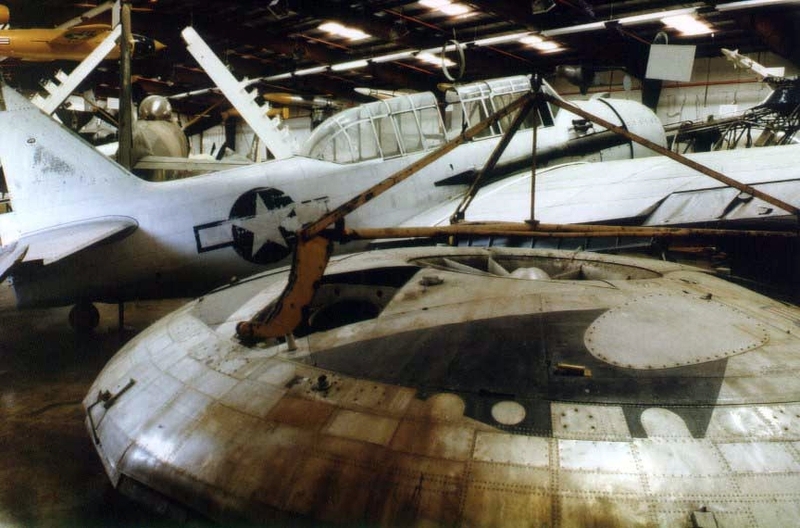 Frost assured the public that it was all possible, and he wasn’t wrong — it was just hard to deliver in one single aircraft. 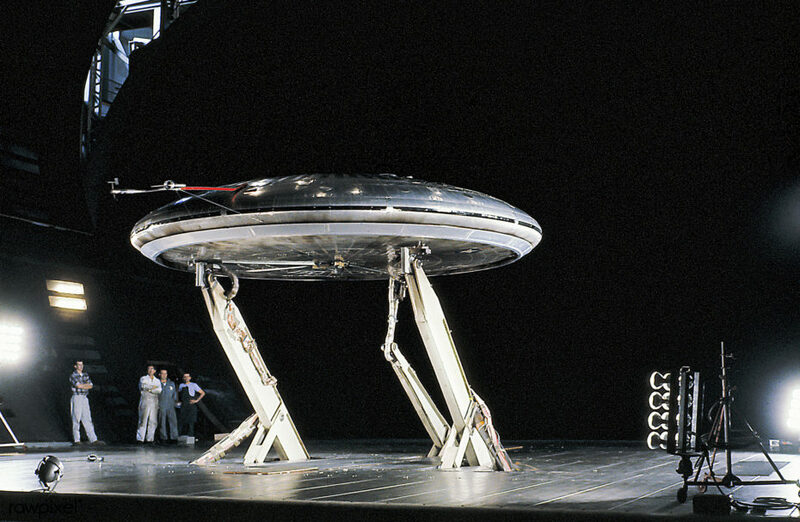 At the end of the day, the two Avrocars in testing couldn’t go more than 3ft off the ground – any higher and the loss of lift coupled with absolutely insane instability made the design infeasible. One pilot said that it felt like driving a beach ball. Speeds couldn’t go faster than 35mph, it overheated like crazy, and there was a piercing screeching sound when it was in operation. 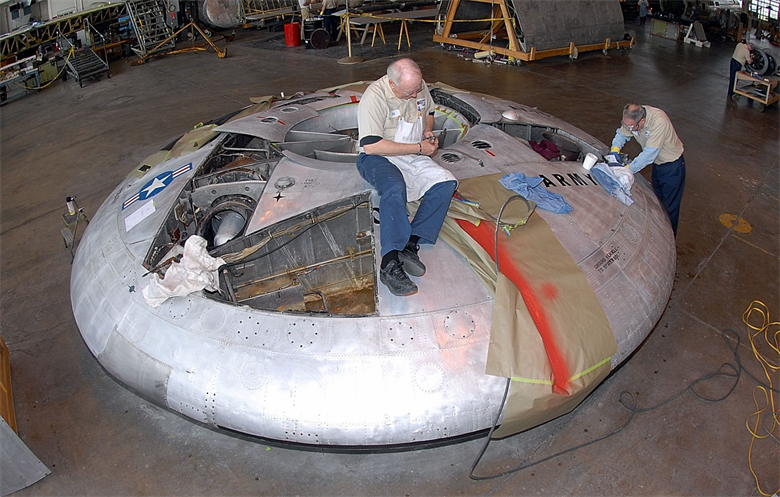 Learn more about visiting the Avrocar at the National Air and Space Museum, and examine Project Blue Book for yourself on the FBI’s website.